Packaged in a wooden box, this 3 Piece Cheese Knife Set in Black is the perfect complementing gift. 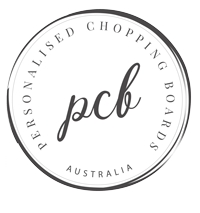 Are you looking to take your personalised cheeseboard or chopping board from ‘Wow’ to ‘Fabulous’? Why not vamp up your gift with a 3 Piece Cheese Knife Set in Black! This 3 piece set comes with a regular cheese knife, a mini cheese knife and a cheese cleaver – sleek, stylish and practical! Part of the Jean Dubost range and featuring the famous Lagouile inscribed marking, these cheese knife sets are manufactured in the Thiers region of France. The blades of each piece are stamped, ground and polished with over 25 manual production stages, including hand polishing of the handle, blade and back of the knife. Packaged in a wooden gift box, this 3 Piece Cheese Knife Set in Black is the perfect complementing gift. The knife itself is made from a polished, unique blend of metal alloy, while the acrylic handles are made from high tech ABS plastic (Acrylonitrile Butadiene Styrene). The knives included in this set are dishwasher safe, however only with the use of dishwashing liquid. Abrasive dishwashing powders may dull the bright colours. For the longest possible life span of your cheese knife set, we recommended hand washing. The regular cheese knife in this set measures 23cm long, the mini cheese knife measures 13cm long and the cheese cleaver measures 22cm long.